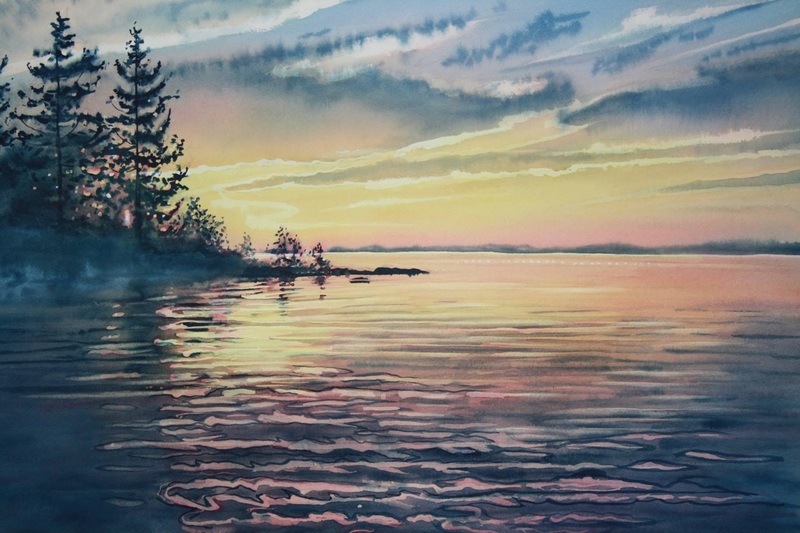 Edwards Studios & Art Gallery is an independently owned and operated family art gallery located along the North Shore of Kagawong, Manitoulin Island. The Art Gallery was established in 1996 by Richard and Barbara Edwards. After moving to Kagawong in 1993, Richard and Barbara worked from their home studios until they transformed the upper story of the historical Old Mill into a working studio and art gallery. The Art Gallery showcases many local artists work from Manitoulin Island and surrounding areas. The gallery is open to the public from May Long Weekend to Thanksgiving weekend. All original hand crafted works of art, paintings, original serigraphs, etching, pottery, stained glass, hot glass, carving, batik on silk, jewelry, clothing, textile art and custom framing.